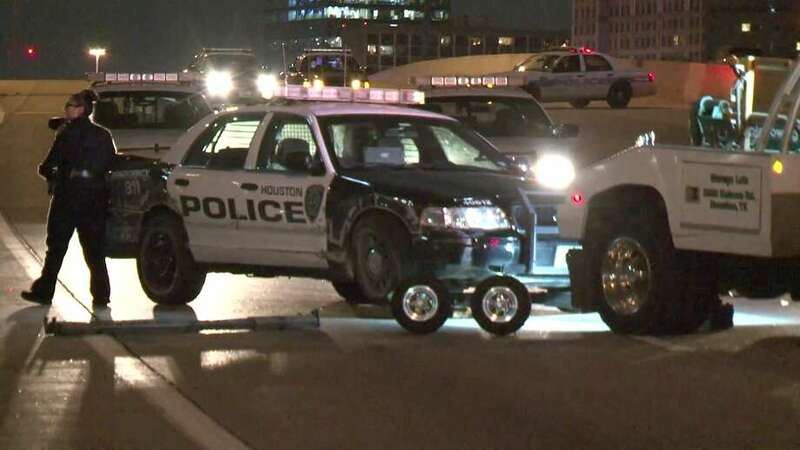 A Houston Police Department officer was injured Saturday evening when he lost control of his vehicle and hit a barricade on the 610 West Loop. The officer was traveling northbound to assist an officer when another car changed lanes in front of him, causing him to swerve to avoid hitting the car, authorities said. “He ended up losing control of his vehicle and hitting the barricade,” said Sgt. Jesus Uribe, a member of the Houston Police Department’s Vehicle Crimes Division. He was taken to Memorial Hermann in the Texas Medical Center with minor injuries, authorities said.